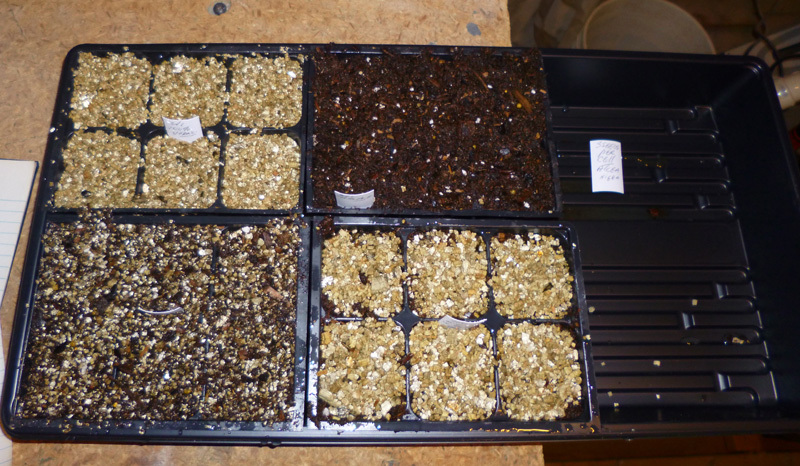 I tested various proportions of vermiculite for starting seeds. 3. 50% vermiculite and 50% potting mix. 4. Potting mix on the bottom and vermiculite covering the seeds on the top. 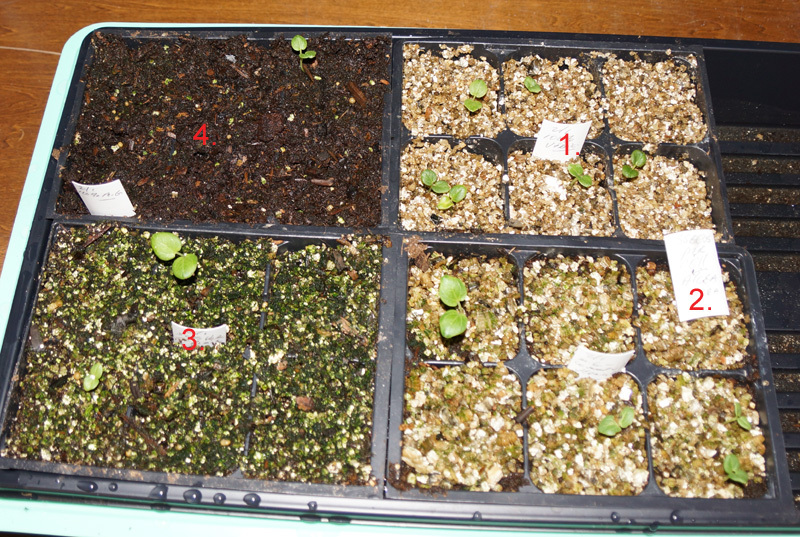 Here are the results below from best to worst – I had 18 hollyhock seeds per tray. Vermiculite has zero nutrients so I will be bottom watering with Jacks classic 20-20-20 with micro-nutrients. 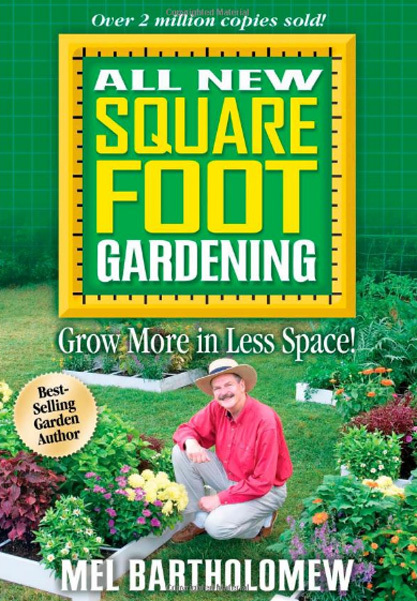 This variety is more expensive than Miracle Gro, but does a good job. Note – see my results below – this does NOT work! Note – wear a mask when handling dry vermiculite. Wet the vermiculite as soon as possible to reduce dust particles and possible asbestos. 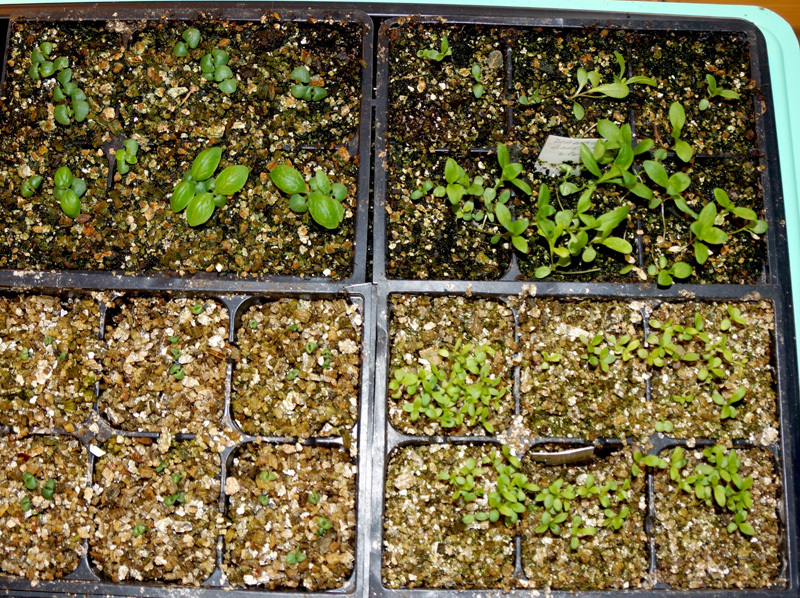 As you can see in the picture above, while vermiculite is great for starting seeds, since it has no nutrients, the seedlings don’t mature and grow very well. Even though I have constant bottom watering with Jacks water soluble fertilizer. The seeds in the picture are dianthus and basil. They are much healthier in the Miralcle Gro mix. He plants on top on the dirt and grass. No tilling and no improving the soil. As part of the compost mix, he encourages using worm castings, composted manure, etc. – this is probably where he gets his Nitrogen source. He does add extra compost every year. He suggests using 1 x 6 or 2 x 6 lumber. He says to use landscape fabric underneath the box.He used to recommend putting down newspaper or cardboard. He’s worried about old weeds seeds sprouting from the soil. After you harvest a crop you add a handful of compost to that particular square. Crop Rotation – after you harvest a crop you put in a different type of vegetable. You move from root, to fruit to leaf crops. I’m going to test this system out this year and see what results I get. I do a version of this as my “Easy” butterfly garden. I use a mix from St.Louis Composting which does contain soil and compost. Here’s a good video of the process although it’s a bit old.